Latino voters are more engaged in the 2018 midterm elections than in years past. Enthusiasm towards voting is higher and Latinos have already contributed to record turnout in some states. Yet this interest and excitement towards voting has the potential to be hampered in some areas facing voter suppression. These difficulties in voting are not new. Voter suppression has a long, shameful history in the United States—particularly among communities of color. Like in previous elections, two major concerns during this midterm season have been restricted access to voting sites and crackdowns on supposed voter fraud. Officials throughout the United States have closed thousands of voting sites and slashed the number of poll workers ahead of the midterm elections. Data shows this has disproportionately affected areas where the majority of voters are Latino or black. This has been the case in Dodge City, Kansas, which has a 60 percent Latino population and is one of the few minority-majority cities in the entire state. Election officials closed the only polling site and relocated it far outside city limits. The new polling site, tucked away in a suburb with no access to public transportation, is intended to serve the city’s 13,136 voters. The average polling location serves only 1,200 voters. It’s also more than one mile from the nearest bus station, and traffic along that route typically gets jammed by passing freight trains. Similar efforts have been underway in Georgia, Texas, Arizona, and Louisiana, among others. This has included closing polling places, slashing early voting, and purging voter rolls. Taken together, voting experts fear that people will be unable to vote, won’t have time, or may be purged from their state’s voting system altogether. Other states have begun crackdowns on supposed voter fraud by enacting strict voter ID laws, which disproportionally hurt communities of color. Latinos in particular may be intimidated from casting a ballot. 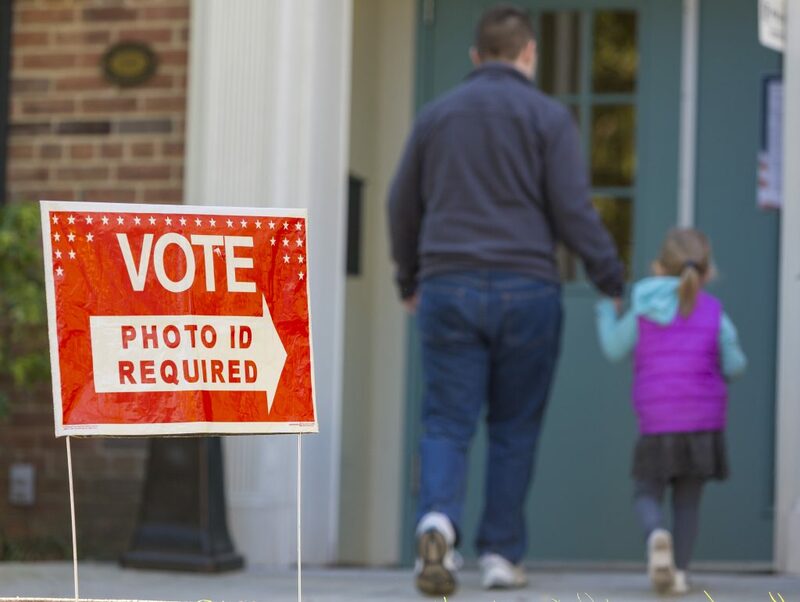 Many of these laws now require specific forms of identification that are not always easily accessible or other measures that make it difficult to vote. This renewed focus on voting fraud comes even though actual instances of casting a fraudulent ballot are incredibly rare. There are efforts to combat this voter suppression, however. Multiple transportation apps, bike and scooter shares, and metro systems across the country are offering rides to the polls free of charge on Tuesday. This is an important step to ensuring that all people have access to their right to vote and are not intimidated from going to their polling site.